Exposure to ultraviolet light, UVA or UVB, from sunlight accounts for 90% of the symptoms of premature skin aging including wrinkles. It is important not to strip or dry skin but to gently exfoliate and remove impurities, excess oil and dead skin cells. Skin must be hydrated and toned to bring back balance and radiance. 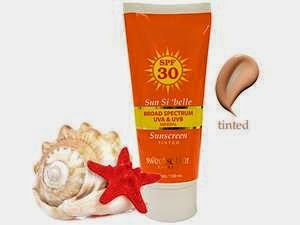 That's where our new totally natural Sun*Si'Belle moisturizing sunscreen comes in. Water resistant 80 min, non-greasy unique formula provides chemical-free mineral UVA (aging) and UVB (burning) Broad Spectrum Sunscreen SPF 30, which protects skin from harmful sun rays and prevents sun damage and pigmentation. Fruit extracts of Pineapple and Papaya provide mild exfoliation to shed dead skin cells and keep your skin fresh with rosy glow. Sea Kelp provides hydration to your skin all day long. Ellagic acid, an antioxidant found in raspberries and cranberries, protects against ultraviolet damage by blocking production of matrix metalloproteinase enzymes that break down collagen. Highly nutritive Tomato is a rich source of Antioxidants like Tocopherols (Vitamin E), Lycopene, Omega 3,6,9, Copper, Iron, Manganese and Zinc, are essential for treatment and prevention of cutaneous signs of aging, and for reducing UV damage to the skin. 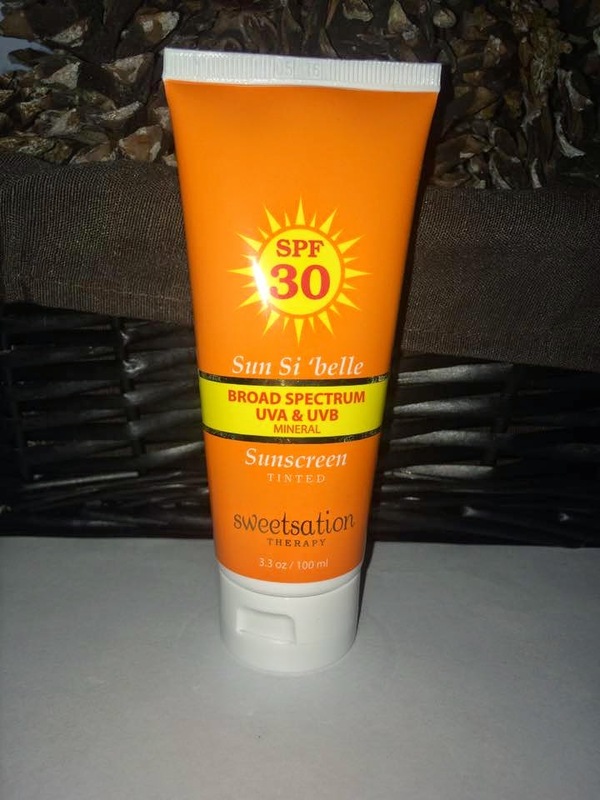 I was so happy to get to try Sun Si'belle Broad Spectrum SPF30 Sunscreen, Tinted. 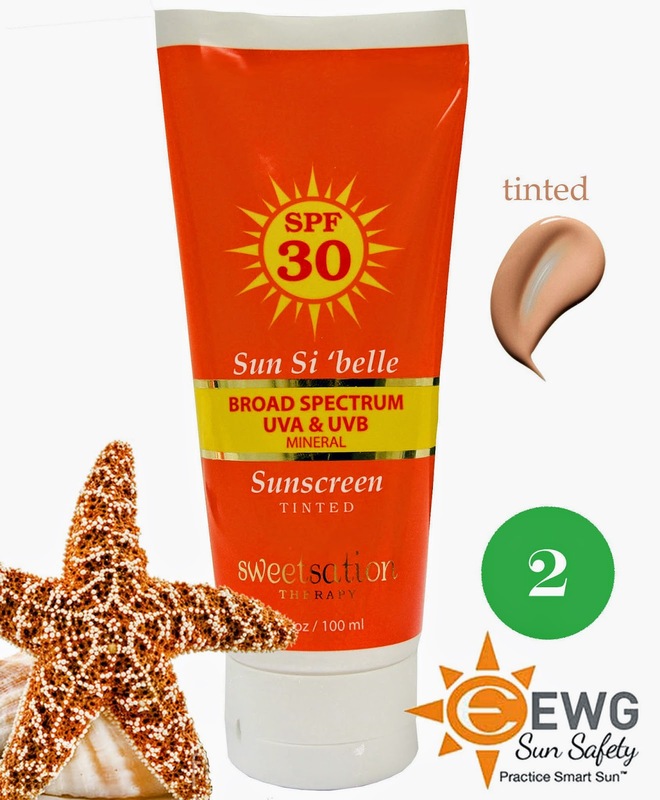 The ingredients in this tinted sunscreen are fabulous! 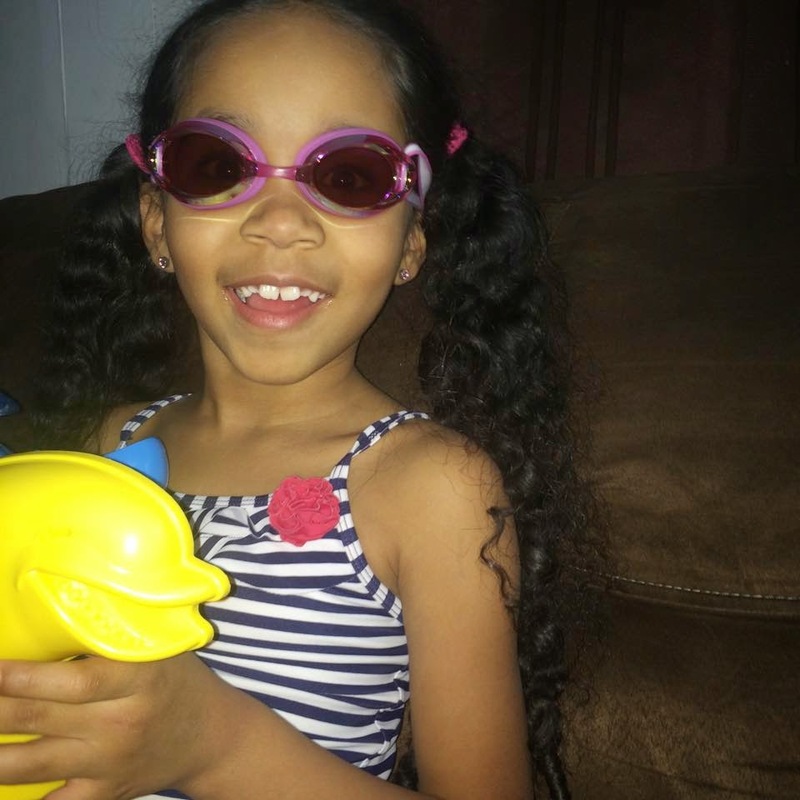 This is no ordinary sunscreen! I love that it does not leave that white smear on your skin that never seems to go away. The tint is just enough and not orange or streaky. 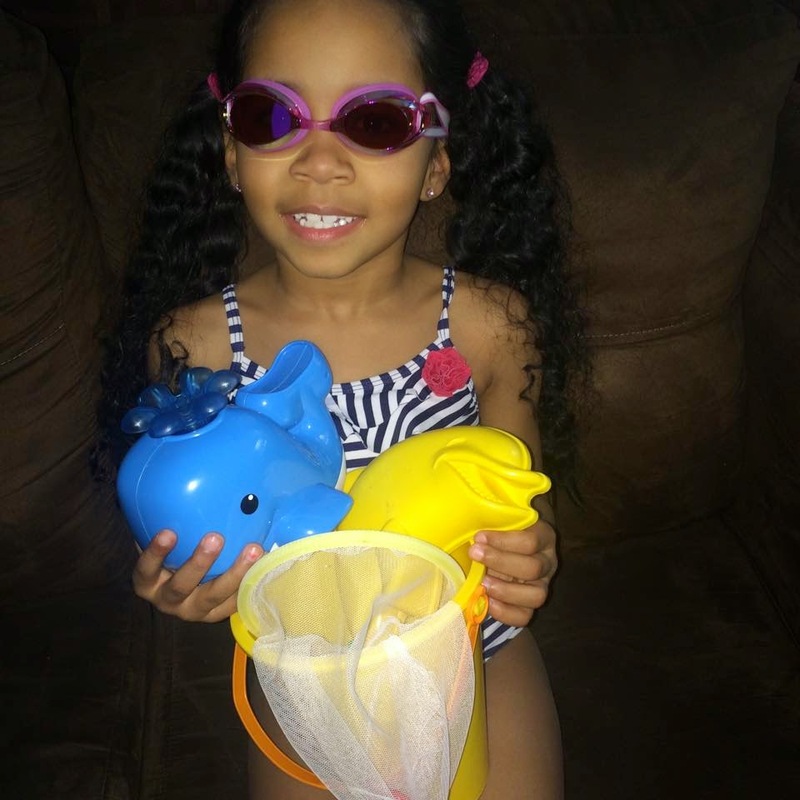 It is water resistant for over an hour so you can splash around in the water and come back and apply when you relax on the beach. I like to start off the season with a bit of color since my skin is so fair and this is just perfect. I love that it is chemical and toxin free and has no tree nuts like many other sunscreens do. I love that it exfoliates, hydrates and protects my skin from harmful rays. No need to apply all kinds of different lotions and potions. This is a high quality product that I plan to use again and again, all year around.